Postgres has a rich set of index types from standard b-tree to GIN and GiST. Here’s a tour of all the index types in Postgres and when you’d want to use each. Looking to give Postgres 10 a try? Heroku Postgres now has beta support for the newly released version. 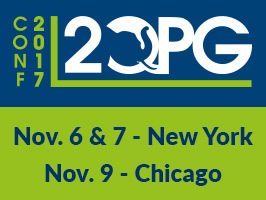 Receive hands on PG training with local 2ndQuadrant experts at 2Q PGConf 2017 in New York on Nov 6. Courses include: PostgreSQL Database Security, Postgres-BDR, and Postgres-XL. Discount for this date. A Set Returning Function is a stored procedure that can be used as a relation: from a single call it returns an entire result set. Postgres 10 brings some new benefits to them which you can dig into here. .. from a long-time user you might have heard of :-) Give a read to this letter on all Postgres has brought over the years. Version 4 updates repmgr to support the recently released Postgres 10. Postgres is a reliable database that can run anywhere including smaller devices. Have a use for it on a Raspberry Pi? Here is your guide to getting it up and running. Hint: It’s something to do with bugs. Performance tune your PG skills. Train on Postgres with EDB, & be prepared to succeed.